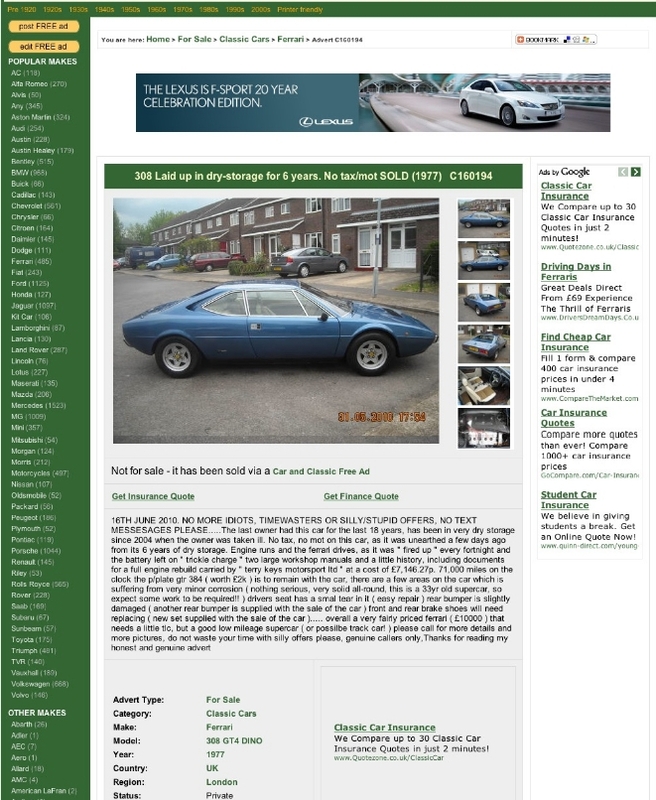 I have been keeping my eye open for a Ferrari 308 GT4 for the last couple of years. The car had to be cheap, fairly rust free and mechanically sound but needing a bit of work to make it respectable. I saw the advert below and after much thought contacted the seller.